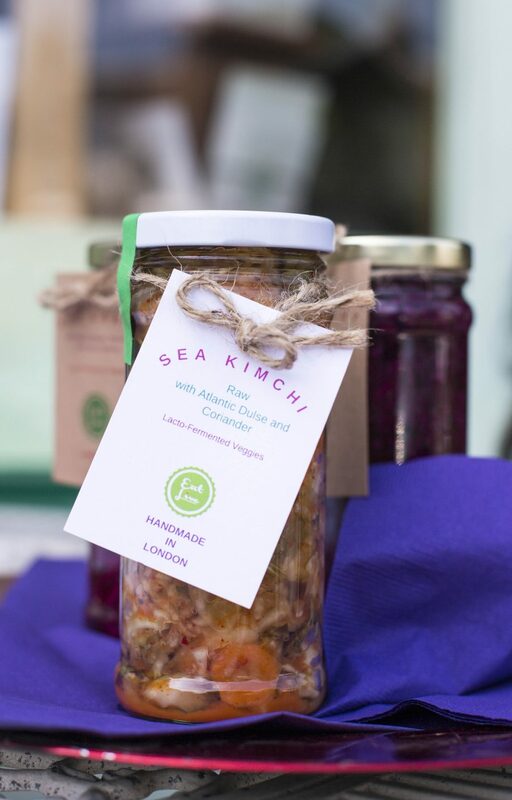 When we spoke to Emma Louise of Eat Live about her fermented food business, we loved these elegant tall jars that she uses for her kimchi. She explained that they are perfect as “they’re tall and slim because the fermented veggies need to be beneath the brine, which is easier without a wide surface area.” They also have labels that can be easily removed to facilitate the jars’ reuse. Having given a lot of thought to every part of her business, it was a different matter when she sat in our hot seat for some quick-fire questions. Take a look on the Enfield Food Festival site to find out who she’d most like to cook her a meal – and where – as well as the cheap food she finds hard to resist.